Maximise colored locks with the Alterna Caviar Infinite Color Topcoat Shine Spray. Ultra-lightweight and non-greasy, the hair mist formula works to seal each individual cuticle and lock in color pigmentation for enhanced vibrancy and tone. 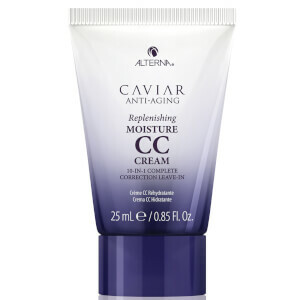 Fortified with antioxidant-rich Caviar extract, it shields hair from dulling UV damage and helps prevent fading for revitalised locks with superior shine and color. The perfect finishing touch to any hairstyle for a professional looking finish.